I love creating and displaying word art. I also love sharing them, so today's your lucky day! 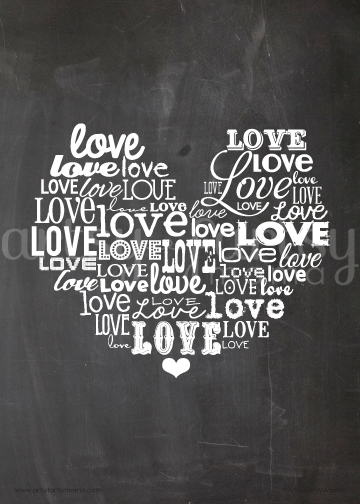 I created this printable just in time to add to your Valentine's Day decor, but it could easily work for displaying year-round. 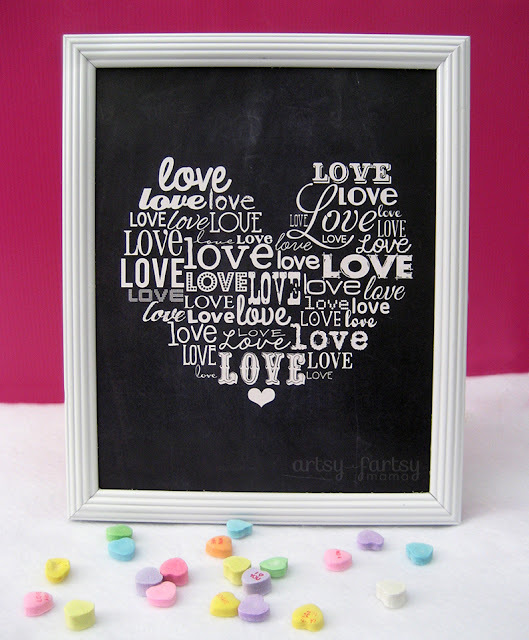 Since not everyone uses the same color scheme for Valentine's Day, I've made nine different color options, including the oh-so-popular chalkboard! They are all available for download in both 5x7 and 8x10 sizes. All you have to do is print, trim, and frame! Easy enough, right? I love the blue lettering on white.....thanks so much for sharing! I love these and I really love the chalkboard one (I don't care if it's an ink-eater, LOL). They are really pretty - thanks for sharing!! 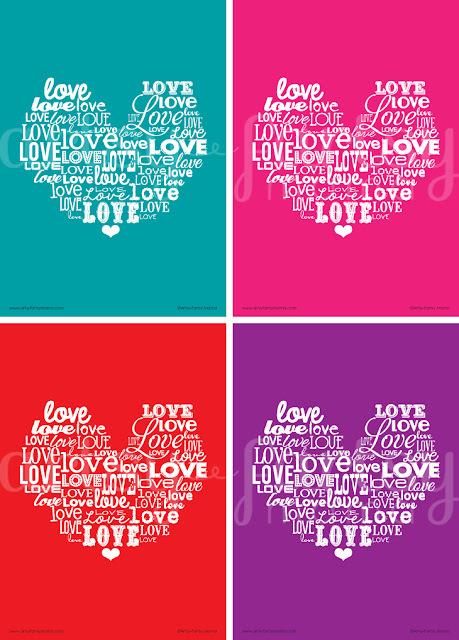 OMG I "love" this Love print! I'm pinning right now and I'll probably print out several (I'm totally digging the chalkboard and pink backgrounds). These would make such adorable gifts. Thank you so much for sharing. I'm from Creative Bloggers! This is SUPER cute! Love this, Lindsay! Especially the chalkboard one. I saw this all over Pinterest this morning already! It is awesome - I love the chalkboard one! Love this Lindsay! Especially in color! Thank you for sharing this! These are just adorable! Thanks! Thank you so much! I love the black and white especially! 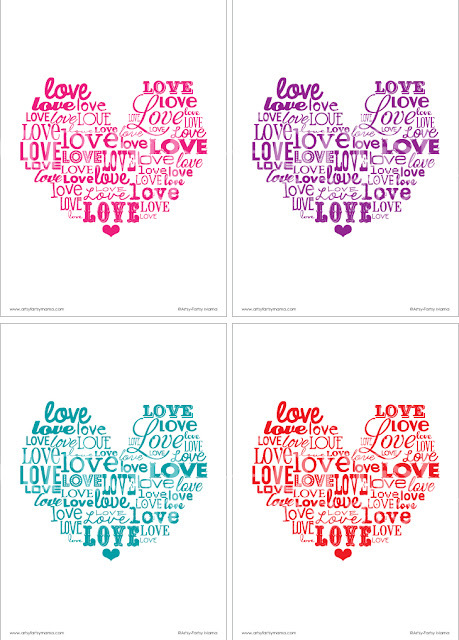 Lindsay, I just LOVE these printables. I just incorporated them in a project and gave you a shout out! Lindsahy, you know I LOVE this! I have another project up my sleeve utilizing these printables...now I've just got to find some time! I'm so glad you shared this at Loving Valentines Day! These are beautiful! Thank you so much for sharing on Family Fun Friday today. I'll have to incorporate these into a party soon!